Fine Tuning has been providing Home Theater install in Houston and surrounding areas since 2009. We provide a higher level of service, products, and support than your traditional electronics retailer while maintaining the 'personal touch' you'd expect from a small company. Our number one goal is always your satisfaction; therefore our job is not complete until you are pleased with your systems performance and operation. So, whether you just need a TV mounted, music throughout your home, or full automation, give us a call. 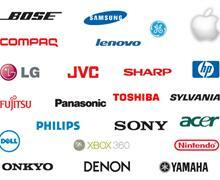 We can even take care of your TV and Audio repair in Houston or surrounding areas. We look forward to working with you. And remember; Every system can use some Fine-Tuning! When designing a system for our clients, we don't use a 'cookie cutter' approach. We believe that every system should be designed and built for your individual needs, style, and budget. You should not have to settle for a system with limited options, but rather know you are getting one that does everything you want it to do. We have teamed up with top manufacturers in consumer electronics so that we can not only offer the best prices and availability, but the most options as well. We carry everything from TV's speakers, controls, and anything else that will bring your dream system into reality. When purchasing from us, you can be assured that you are getting the most current models up to date wiring, and still be at competitive pricing; without ever having to go into a store.